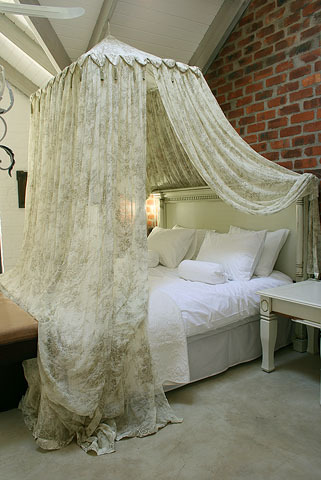 Accommodation in Franschhoek: Los Olivos at the Yard. 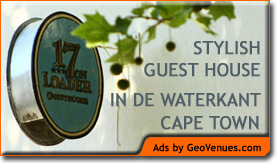 You are here: Home / Western Cape / Franschhoek / Accommodation in Franschhoek: Los Olivos at the Yard. Los Olivos luxury penthouses welcome you into the heart of the charming and historic village of Franschhoek, surrounded by majestic mountains and nestled amongst magnificent wine estates. Franschhoek with its wide selection of restaurants, including award-winning Le Quartier Francais and Ruben’s is known as the gourmet capital of the Western Cape. Nelson Mandela took his first steps of freedom from the former Victor Verster prison just outside Franschhoek. The penthouses are situated in a serene part of the village, within EASY WALKING DISTANCE of local restaurants, pubs, interesting shops and galleries, giving you an AUTHENTIC TASTE of village life. Surrounded by softly splashing fountains and gently flowing waterways, they are situated at The Yard, an upmarket piazza, with a distinctive European flair. 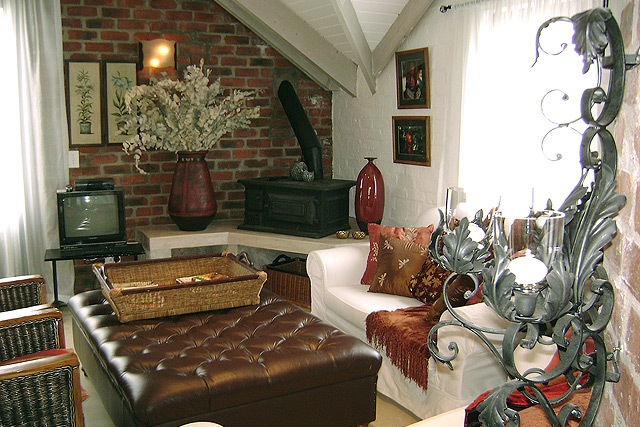 They are decorated in a UNIQUE, AFRICAN COLONIAL STYLE using warm, earthy hues and reflecting the diverse heritage of South Africa. LUXURY with an attention to detail including heated bathrooms, fleecy dressing gowns, complimentary toiletries and hot water bottles for the chilly winter months and ABSOLUTE COMFORT are all part of the LOS OLIVOS EXPERIENCE.